Activa returns to the Discover release schedule to deliver a mix focusing on some of his favourite tracks from the the first 100 releases on the label. The tracklist speaks for itself and the mixing is flawless so turn it up and enjoy this audio feast from one of the UK's most consistent trance labels. 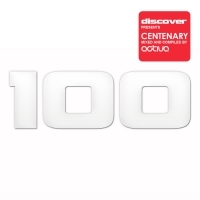 'Discover Centenary (Mixed by Activa)' is available now from Beatport and iTunes.